If there is one chore I actually enjoy doing it’s vacuuming. I am not sure why, maybe because it is easier and faster than most chores. We live in a fairly large home with multiple floor surfaces. We have full carpet in our living and dining rooms, we have hardwood in the back hallway and bedrooms, and in our main hallway and kitchen we have tiling. In our bedrooms we also have area rugs in addition to the hardwood floors. Having multiple floor surfaces throughout our home has caused many headaches in finding a vacuum that actually works on all these surfaces. Let’s be honest, I am no Suzy homemaker and I hate sweeping. Half the time whatever I am sweeping ends up all in the air which eventually floats right back down on the floor anyway. I ‘ve had plenty of vacuums over my adult life, plenty being the key word! It really didn’t matter if I spent $40 or $200, the vacuums I was buying worked great at first but then slowly started losing their power or in some cases blew up in my living room like my last one leaving a pile of dust, cat hair and more everywhere! I can’t recall the last vacuum I owned that made it passed the 12 month mark. I can certainly tell you a few of them lasted mere months and having to constantly purchase a new vacuum can truly add up! Many know Dyson as a leader in the marketplace when it comes to their well-designed and powerful machines that last. From their full-size vacuums to cordless stick vacuums to fans. The thing about Dyson vacuums is that they are at a price point that many Canadians, including myself, are just not comfortable with. I had big plans to purchase my very first Dyson. It was during the Target liquidation, I stalked my Target on a daily basis watching for the discount to drop as I wasn’t quite ready to invest such a large amount of money. After all I had never owned a Dyson and my previous experiences with vacuums all ended in disappointment. Sadly I waited too long, on one of my daily visits the display was cleared out and my dream of a Dyson at an affordable price vanished. Well I have some pretty exciting news for those of you who, like me, have wanted a Dyson in your life but just haven’t been able to justify the cost! Dyson has teamed up with Canadian Tire to give us Canadians what we want – a Dyson at an affordable price point! The new Dyson DC33 Multi Floor Upright Vacuum is available exclusively at Canadian Tire for only $399.88. This is the ideal machine for someone who’s always wanted a Dyson: it has the same great technology expected from them, but at a price point that’s manageable. The DC33 has Root Cyclone ™ technology that captures more microscopic dust than any other cyclone and a HEPA filter that traps microscopic pollen and allergens, making this ideal for allergy sufferers. I have been using our Dyson DC33 Multi Floor Upright Vaccum for a few weeks now and have to say it is the most amazing vacuum I have owned! Having three messy children, a cat, and a dog you can just imagine the mess I have to clean up. Even though Bella is walking now she still crawls from time to time. She also is a teething monster right now with all four of her first molars coming in so many of her toys that go in her mouth also go on the floor. Having clean floors is a huge deal for me, especially with the baby. Of course in anticipation of our new vacuums arrival I didn’t vacuum much as I wanted to give it a good test to see how it could stack up to our family’s mess. Needless to say there were mini Reggie’s visible on the carpet along with crumbs from the kids. The mess that was awaiting the Dyson DC33 Multi Floor didn’t stand a chance as the DC33 sucked the mess up effortlessly. It packs some serious pick-up power! I was on the fence if I should show just how much the DC33 picked up as I was a bit embarrassed. But I realized that it wasn’t that we were messy people at all. Our previous vacuums simply weren’t anywhere near as powerful as the Dyson DC33 Multi Floor Upright Vacuum meaning they left behind a lot even though the surface looked clean. After using the DC33 on a daily basis as I did with my other vacuums I can tell that it is working, I can see that it is picking up way more than our other vacuums ever did. Even more so, I can physically see the cat hair in the machine! Maneuvering from our bedroom area rugs to the hardwood floors is effortless. The DC33 handles hard floors better than any vacuum I have ever owned. The DC33 Multi Floor Upright Vacuum has a self-adjusting cleaner head which maintains constant contact with your floor to seal in the suction. I have never had a vacuum that I didn’t have to physically change the height setting manually so I really appreciate this feature and am extremely pleased that it works. Many vacuums I have owned never really picked up much from the floors but the suction power the DC33 has is remarkable! It even does an amazing job on our tiled flooring. I am pretty sure if I didn’t need my broom to kill centipedes I would throw it out now that I own this beast of a vacuum! The DC33 comes with three added tools including a stair cleaning tool that attaches to the removable wand or hose for easy cleaning on stairs, a combo accessory tool which features a nozzle for large debris which converts to a brush tool for dusting – ideal for baseboard crevices, and a flexi crevice tool which extends and flexes into awkward gaps – perfect for cleaning between furniture. 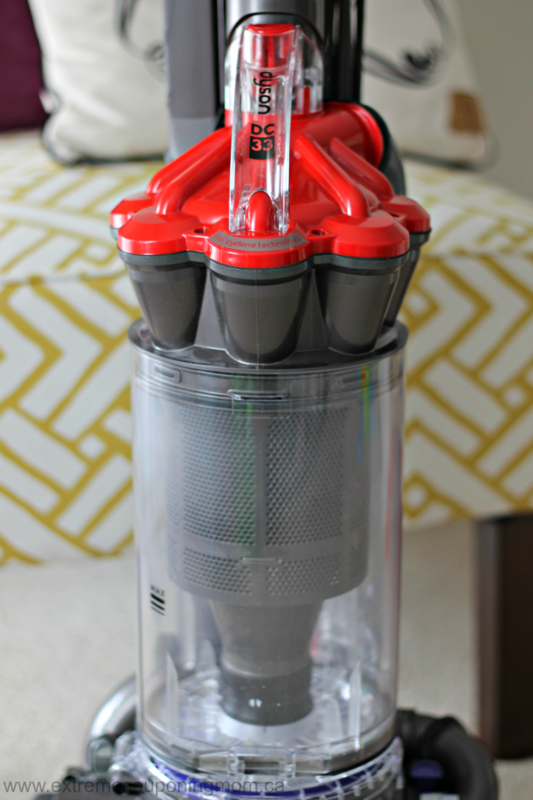 The Dyson DC33 Multi Floor Upright Vacuum features two washable filters making cleaning the machine super easy. Emptying the bin doesn’t get any easier or cleaner either. With the DC33 you simply pop off the bin from the machine, hold the bin over your garbage can, and press the button to release the dirt. After pop the bin back on the machine and you are ready to go! One of my favourite things aside from the amazing vacuum is that the Dyson DC33 Multi Floor comes with a five year parts and labour warranty redeemable at Canadian Tire. Knowing there is a long warranty period makes purchases like these feel less stressful. I know none of my other vacuums had warranties anywhere near this long! I can’t express how happy I am with the performance of the Dyson DC33 Multi Floor Upright Vacuum. It definitely handles pet and children mess far better than any vacuum I have owned. I look forward to having this vacuum for years to come. If you are interested in buying a Dyson I would definitely recommend this model to those who are on the fence. It is available exclusively at Canadian Tire. 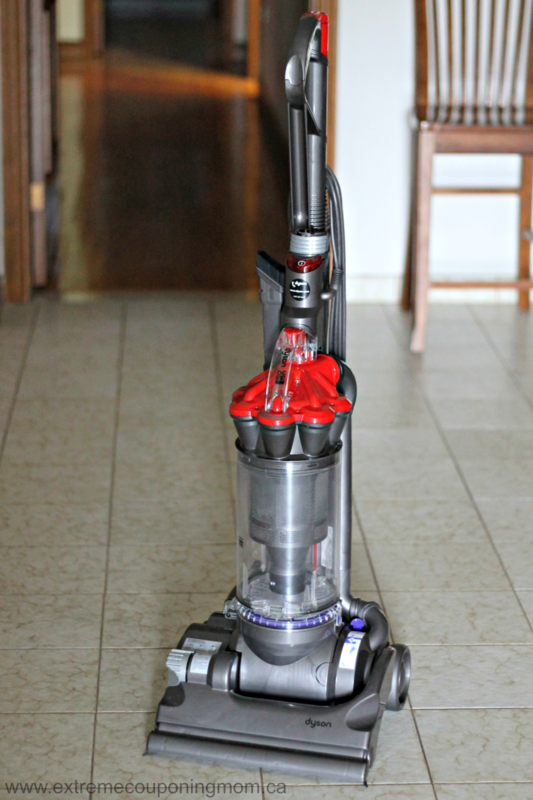 DYSON DC33 MULTI FLOOR UPRIGHT VACUUM GIVEAWAY! Dyson has generously offered one Canadian Extreme Couponing Mom reader will win their own Dyson DC33 Multi Floor Upright Vacuum! To enter the giveaway please complete the mandatory entry option(s) on the giveaway widget below. Once you complete the mandatory option(s) you will be given a list of additional entry options to increase your number of entries for a better chance at winning. Some entries can be complete once per day so remember to return daily to get even more entries into the draw! This giveaway is open to residents of Canada only. For complete giveaway rules see the giveaway widget below. All entries will be verified. Disclosure: Although this post has been sponsored by Dyson, the opinions and language are all my own, and in no way do they reflect Dyson. Any product claim, statistic, quote or other representation about a product or service should be verified with the manufacturer, company, provider or party in question. Love the transition from carpet to floor surfaces w/o having to adjust anything. to go from carpet to hardwood with out any issue and the new stair cleaner tool! I like that it has tools to clean my steps. I love that I can wash the filter. Going from carpet to tile without manually changing the height sounds like a dream!!! With a preschooler, a toddler and a 76lb dog, a vacuum that doesn’t lose suction after a week and does multiple surfaces with ease is a must! Thank you for the review, off to visit Canadian Tire! What a great giveaway! Would love to win but good luck to all! I like that there are no bags to remove and replace. Emptying a bin would easier and less messy. I can appreciate that The DC33 has Root Cyclone ™ technology that captures more microscopic dust than any other cyclone and a HEPA filter that traps microscopic pollen and allergens, making this ideal for allergy sufferers. What a great feature for those with allergies. I like the self adjusting cleaner head feature the most! …Everything about this vacuum is great but I love not having to change bags !!!! I just love that this vacuum picks up everything. I hate that my vacuum leaves dirt behind. I love that it’s a powerhouse and gets all the teeny tiny fragments we can’t see….but our babies sure can!!! I like that it’s good for both hardwood and carpet! LOVE that this vacuum transitions from carpet to floor so easily. The easy to use canister to dispose of the garbage is an added bonus! And no changing bags! I think going around corners wirh the swivel head is a great assett! I love that it appears to clean deep down, picking up tons of dirt and pet hair that other vacuums just can’t handle. What a rock star of a vacuum! No bags, easy to move, hardwood and carpets!! We have a central vac and it is big clunky and gets nothing, especially dog hair, not having to worry about that anymore would be great, especially with a house full of tiny hands and mouths that eat everything! I love the fact that it can go all over my house and clean up after each and every one of us!. No more different tools for different jobs! I love no more hassle from bags or going over different floor types. love the fact that it can be used on carpets and wood floors. Love that I can use this on every floor type, I hate sweeping and dusting so this sounds fantastic! I love that works on both carpet and hardwood! Ive never had a dyson, but I think my favorite feature will be not having a bag to worry about. I love how easy the canister is to empty. It’s just amazing. We LOVE dyson! I love that it goes from hardwoods to capets and back. I also like the easy empty canister. Sounds like a great vacuum. I love that it can go from carpet to hardwood easily. I am intrigued about how it picks up pet hair. I have yet to find a vacuum that can handle the amount of cat hair my two fur-kids produce against my curtains…..
Washable filters!! Woohoo for being environmentally friendly and not having to buy expensive filters!!! Love Dyson!! I generally love vacuuming! I love that this will definitely pick up all dog hair no matter what the flooring is! Love the multi-floor cleaning, no need to switch to clean from carpets to hard wood to tiles. 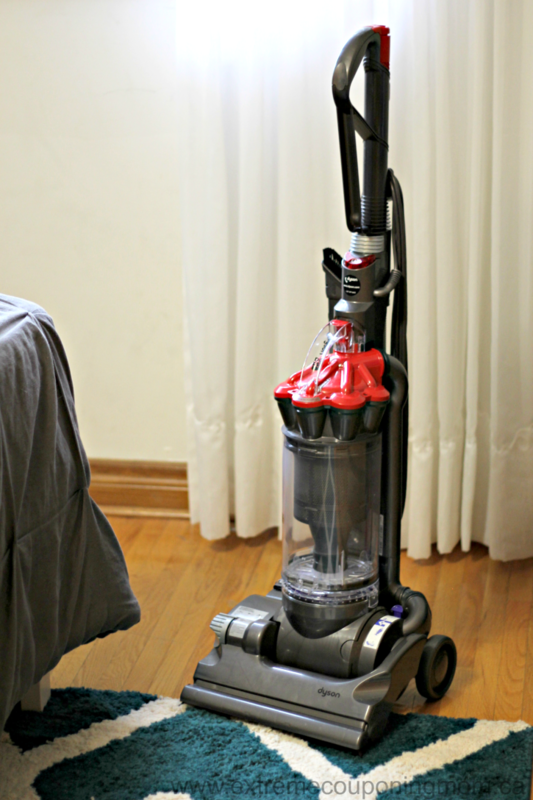 The easy to empty canister and the washable filter makes it a perfect vacuum for me. I like that the DC33 has Root Cyclone technology to pick up microscopic dust and a HEPA filter to trap it. Less dust and cat hair means less allergens! And I’d love to be done with a canister vacuum and changing bags. I appreciate that this Dyson is easy to empty. I would like to replace my old vacuum with Dyson. Easy emptying of the canister and washable filters. I need to have a canister that I can empty easily. This one does it for me! I love the fat that I is so easy to empty, has amazing suction and no more bags! Love the 5 year guarantee. Means they stand behind their product & want you to be happy with it. Wow sounds like an Awesome vacuum! Sorry hit post lol- I like that it is multi surface without changing the setting. I love the tools for cleaning the steps. I love how it smoothly transitions form hardwood to carpet. Transform from carpet to floor is an amazing feature! Plus its bagless! I love the warranty feature that would allow us to get help with the vacuum through Canadian Tire. That is a huge relief when finding someone to service or contact help for a product can be a nightmare. I love that it is bagless and adjusts to each floor type without having to adjust anything! I’ve always been envious of my best friend’s Dyson -the suction on them is incredible! Glad to see that Canadian Tire is offering a much more manageable price point on a Dyson! I like the washable filters.and that it;s bagless. I love that this vacuum has a self adjusting head that enables it to go from hardwood to carpet. I love how much dirt it actually picks up!! I love the easy to empty canister, the power and the sleek look! Love when they come with all the tools especially the stair tool. Pet hair pickup! I like that it is powerful! Bagless washable filter for a better environmental impact than disposable filters. I have both carpet and laminate flooring, so this would be great for that as I would not have to manually adjust the settings. I also love the easy to remove canister and washable filter. Good for the environment! I like that there are no bags to replace like in my current vacuum. I love that it’s so easy to go from hardwood floors to carpet. Been using 2 vacuums for to long now. This is a fantastic feature that would save so much time and effort. Spare time for my kids and hubby of course lol. The washable filter is fantastic too. I like that I do not have to fuss with replacing bags. Love the self adjusting powerhead! I love the self adjusting powerhead to go from carpet to flooring, and the suction power alone is the best selling point!! I am most excited about the self adjusting powerhead so that I too can vacuum easily all of our floors. I like the self adjusting cleaner head. That is my biggest struggle with my floor. My vacuum doesn’t come in contact with my floor and debris gets tossed around. I love that it has washable filters and no bags. The 5 year warranty is great too! Sounds like a great Vacuum! LOVE that it can be used on hardwood as well as carpet! I like how I can easily transition from carpet to hardwood! I like that it is bagless and has great suction! Love all the features but really like the fact that it is bagless. Saves time from changing bags. This product carries a 5 year repair only warranty redeemable at any Canadian Tire store. No shipping it away! Love this! We too have to buy a vacuum every few months, this would stop that hassle. My favorite feature is the bagless cleaner and that it can clean multiple floor types. I love love love that this has the adjustable head for different surfaces and is bag-less! Love the option of transitioning from carpet to hardwood, would be so much easier. I like that it doesn’t lose suction! That’s a huge issue with my current vacuum! I love that you can use it on carpet and wood floors. I love that there are no bags! I like that it can be use on multiple surface, no bags and washable filters (save on money and the environment). I love that it has a HEPA filter that traps pollen and allergens. I think this would help a lot with our allergies, and our current vacuum doesn’t have this feature. I like that the Dyson DC33 can go from carpet to hardwood and that it has Permanent HEPA filters. I love the easy to empty canister. Mess free is the best! 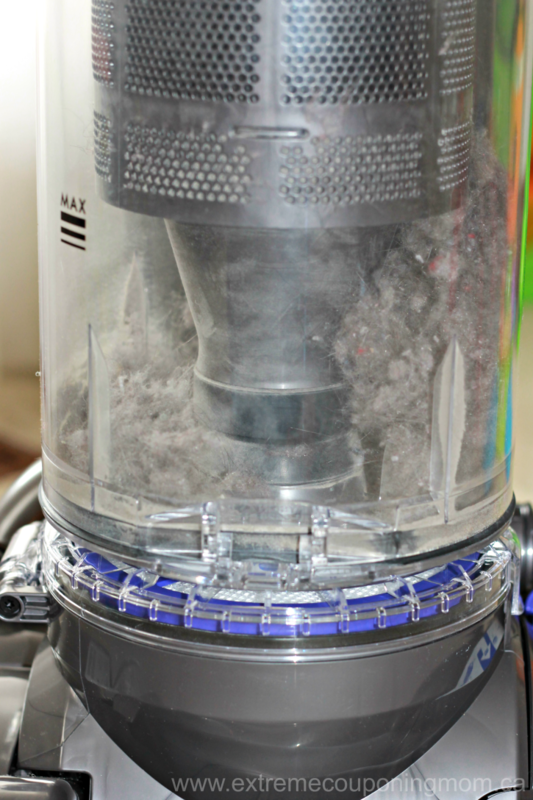 I like that Dyson DC33 has a Permanent HEPA filter! I like that this vacuum comes with a stair cleaning tool! That’s certainly handy! The self-adjusting cleaner head is my fav feature. I hate having to stop and adjust the settings manually on my old vacuum when I go from hardwood to a rug and back. I love that I could use it for the floor and carpet saving me so much time 🙂 Thanks for the chance. I love that it’s bagless. I like that it is bagless. I LOVE the added tools like the Stair Cleaner tool! Awesome! My son has bad allergies so I love that it has a hepa filter that traps microscopic pollens and allergens. I like that it’s bagless! I would live to win the Dyson. I have wanted one for years to replace the vacuum that we currently have. I love that it will work on our hard floors as well as carpet and rugs. I love that it is good for more then just carpet! Added bonus for bagless! Oh my goodness – the power! I think that is the best feature (along with the easy empty canister). I have two cats and a dog so this would help immensely with the amount of hair! I love that it is bagless and can go from carpet to hardwood. I love the self-adjusting cleaner head! Love that it is bagless and can go from carpet to hardwood and othe surfaces. Being able to use it on multiple surfaces without losing suction would be awesome! It’s bagless!!! I love that! I like that I can do all the various types of flooring in my house with one machine. I love that it does Multi Floors and it is easy to clean. Having hardwood and rug, love how it transitions to both. It is bagless and can go from hardwood to carpet! Love it!! I love the canister part. No more bags! That would be awesome! no more begging my neighbour to use his vacuum…..I really need one. With a dog and child..are you kidding me, I could vacuum them both, at once!!!! I like that it goes from carpet to hardwood, seamlessly. Everything about it sounds great, especially how well it picks up pet hair. I have a dog that sheds like crazy, and a baby that will be crawling soon, so sucking up dog hair is super important. I like the fact that it can go from one surface to another. We have 3 different types of floors and it was be amazing to only need one vacuum to do the job. I have to vacuum alot with running a licensed home daycare and I like keeping things clean for my little friends. I excited for how well it picks up dirt and hair. I have 2 cats and my vacuum works but not nearly well enough. I feel like my cats shed cats. It would be great to have a vacuum that works well enough that I won’t have to vacuum every day or every other day. I love the self-adjusting cleaner head that maintains constant contact with the floor to seal in the suction when maneuvering from area rugs to hardwood floors! I would love that brush roll off feature. I HATE sweeping floors for my allergies but I can’t use my vacuum because the brush roll can’t be turned off. This would be awesome. I have wanted a Dyson for a long time but can’t justify paying that much money. daddy needs new vacuum badly! 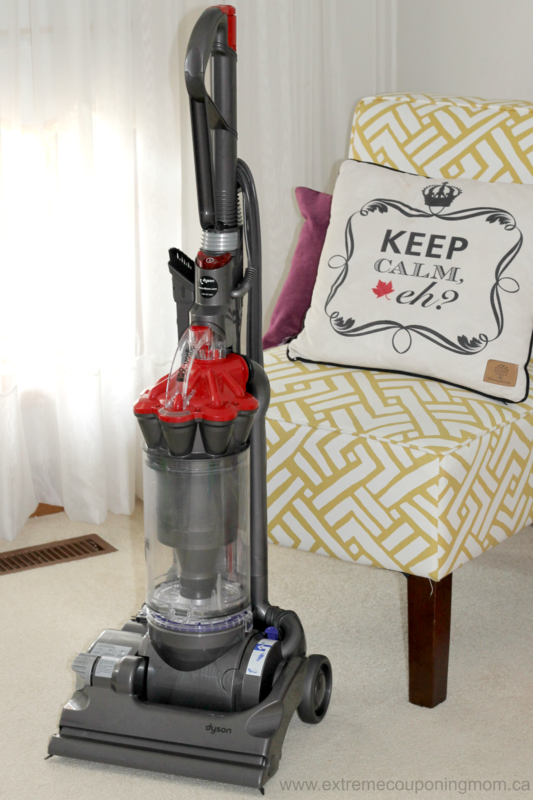 The self-adjusting cleaner head that never loses suction would be such a bonus in a vacuum! I have bought so many mediocre vacuum cleaners over the years.. but this one presents with high quality. I love that you can dump whenever you like. No bags and it never loses suction. I like that you just have to push a button to empty the waste. I like that’s it easy to empty, because let’s face it we all know that can be a disaster! I love that it’s bagless & easy to empty! I love that it is bagless and that it vacuums so well. With three kids my floors are always messy! Pick up power! 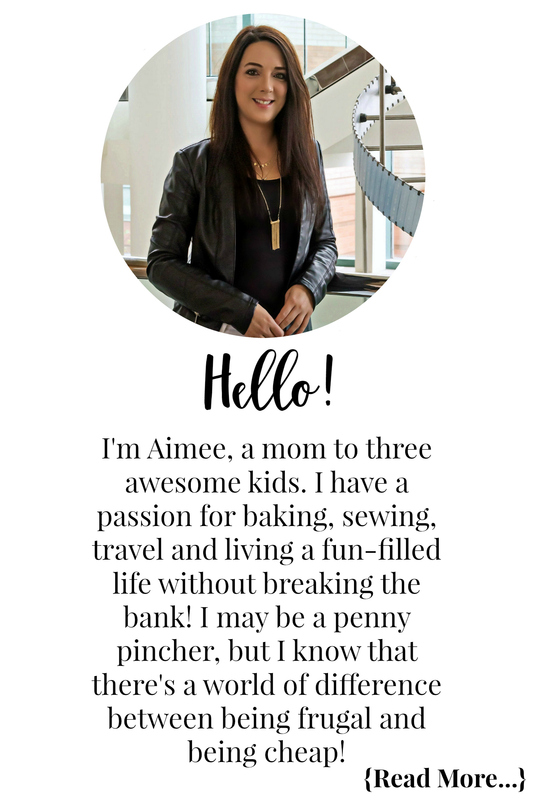 I have 3 kids, 2 dogs, 1 cat and a husband! I love how it can go from floor to floor and pick up such fine pieces of dust. The stair attachment would be so useful!! I really like the Dyson DC33’s upright vacuum’s see through canister, and that it’s bagless, to not have to buy any more vacuum bags. I’m in desperate need of a new vaccum!! Would love to win this!!! I love the fact that the Dyson can maneuver from carpet to hardwood floor without having to make any adjustments or find a button or pedal to push! Great feature!! I would love to win this Dyson vacuum so much, I work nights and have 3 kids so my time to clean up is not very big! This would make clean up quick! I have always preferred bagless vacuums, I can’t help feeling the ones with the bags are like printers. You pay for the machine & then pay & pay &pay for the bags (ink cartridges). It’s exasperating. I have never tried a Dyson, but I am curious. I like how it never loses suction! I have a dog that sheds a lot and because of this, we’ve burned through a lot of vacuums. I love how Dyson has the removable filter so I can empty it after each use! I love the adjustable feature! No vaccum bags is a huge plus and would help with allergens, but let’s face it the best feature is that it is a vacuum. I don’t have one and need one . I like how this goes from carpet to hardwood without issues. We have both in the house. I’ve wanted a Dyson for so long. I thought they were too expensive. In two years I bought 3 vacuums that just didn’t work very well. Turns out I ended up spending MORE than what a Dyson would have cost. Lesson learned!!! The SUCTION feature!! Love how you can go from room to room and not have to adjust the level. Also the fact that it has a Hepa filter is great to trap the dust and not having it flying all over the place. I love that you can use the DC33 on hardwood floors, as well as, carpet. I love the dusting attachments. go from carpet to hardwood easily . I love that I can easily clean my steps & that the canister is so simple to empty! My vacuum has fallen victim to the demands of children and dog hair. A Dyson would be a lifesaver! The mess free canister & auction power! I love how it can go from hardwood to carpet and still work great! My favourite feature is the root-cyclone technology that doesn’t lose suction. I love the mess free canister!!! I love that it’s for multiple surfaces. I love that it uses a hep filter. I like the fact that it doesn’t need vacuum bags. i like how easy it is to empty the collection tank, i’ve never owned a bagless so i would be big on the simplicity of it. I like how it looks as though it was left behind by an advanced alien race who where cleaning one of our houses and decided we need it more than them. It has great suction to get rid of the pet hair form my dog and cat! I love that it can be used on hardwood, that’s all I have! I like that it is bagless!! My favourite feature is the washable filters! I like that it has a HEPA filter that helps with allergies. It can switch surfaces without an issues, I have hardwood, tile and carpet I hate having to change the attachments. This would be awesome for all the pet hair!! I like the Root cyclone technology as my son and husband have alot of allergies and having a hepa filter is important to me. I like that it has washable filters. I love that there are no issues transitioning form floor to carpet. I absolutely love Dyson and after reading your review I’m even more convinced that it’s what I need. With 2 small constantly shedding dogs I need something powerful to clean up after them. The best feature for me would be the ability to go from carpet to hard floor but I also like the sentence in your review saying “you could see the cat hair”! Awesome!! I like that it’s easy cleaning without those dirty bags like the vacuum I have now! I love how the canister is easy to clean out. No bags, no mess! I love that it is bagless and does both hardwood and carpet! I like that you say it handles hard wood floors better than any other you’ve tried. The majority of the floors in my apartment are hard (not carpetted) so this is good news! I like the Permanent HEPA filter that traps pollen and allergens. With pets this would be so helpful. I love that it does all types of floors! That is what I need! Thanks for the chance. I like that it has great suction power and that I can transition from hardwood to carpet. The Hepa filter, what an amazing + for allergy sufferers. Sounds like a great vacuum with amazing features and great suction power. All my friends that have a Dyson swear by it. My poor vacuum doesn’t seem to pick up much at all and dust seems to fly out at times. Living in the country with two dogs and all the dirt that comes into the mudroom, I think it’s about time I upgrade 🙂 Fingers crossed. OMG! Where do I start? The vacuum of my dreams! I love that it has no bags, washable filters and self leveling from floor to floor. Love that it’s available at Canadian Tire as that’s our go to store for products like this. I like that it comes with the combo accessory tool. With two kids, carpet and animals, we often need to change to a nozzle. I think not having to switch from a “carpet head” to “bare floor head” would save so much time & hassle! I love the versatility of the Dyson D33. Not only does it go from floor to carpet but it’s bagless! With 2 constantly shedding small dogs I could really get used to a vacuum that can keep up with them! The feature I most like about the Dyson DC33 Floor Upright Vacuum is the cyclone technology that captures microscopic dust and its Hepa Filter that traps microscopic pollen and allergens. This would help me so much because I suffer from a lot of allergies. I love the fact that it’s bagless with washable filters! I love that there are no bags and the Hepa Filter would be great for my daughter who has asthma. I love the multiple floor feature with not having to stop to adjust the vacuum, and the pet hair picker upper??? I have a dog, who I think, sheds 9 months out of the year and two cats, this would be the perfect vacuum for my house. I like that it comes with washable filters instead of bags. Ease of use, versitile and effective cleaning power all in at a great price point. Easy to use, versitile and effective cleaning power all in one machine and at a great price! I would LOVE the Dyson SC33 Multi Floor Vacuum. I’m so tired of using the horrible vacuum I have! The hose isn’t long enough so when I do baseboards the whole vacuum topples over and has almost made me fall down the stairs more times then I care to admit! For my own safety, I need a Dyson! Especially with 3 furry little dogs constantly running around my place! I love that there is no bags to change. The washable filters and easy to empty bin! My favourite feature of the Dyson is the easy to empty canister. I like that you don’t have to buy bags!!! I love the washable filter, easy to empty canister, and amazing flexibility of transitioning from carpet-to-hardwood-to-ceramic flooring! I love it’s multi purpose works on hardwood too. I love that it has a selfadjusting cleaner head so I don’t have to manually change it. awesome! Love how it’s easy to use also that you can use it on both carpet and hardwood floors. I have both so its perfect! I love how easy it is to clean the filter! I like the bagless feature. I love that it is bagless. I know this is not new technology, but I still have to buy replacement bags for my old vacuum. The suction and washable filters. I will love the self-adjusting leveller – I have ceramic tile and area rugs and carpet and lino so if it can do all that will be amazing!! I like the washable filters. I love that it’s upright and bag less !!! That the Dyson can handle heavy duty messes like cat hair! I like the washable filters and that I don’t have any bags to replace. I like that Dyson is consistent in quality and innovation. Dust, not so much so at least i’m one up on that, lol. Microscopic dust pick up would be a real time saver for me.